+ Tommy Givens, assistant professor of New Testament, in his essay The Politics of the Church in the World. 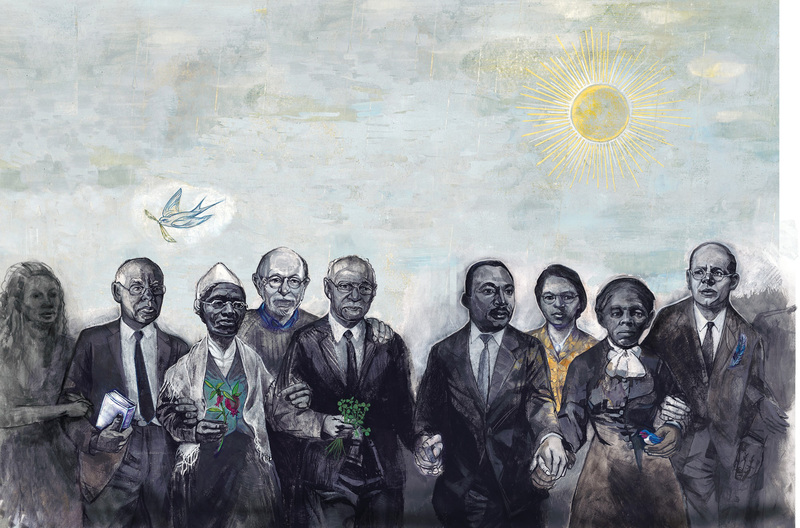 The marchers depicted above—William E. Pannell, Harriet Tubman, Glen Stassen, James Earl Massey, Martin Luther King Jr., Sojourner Truth, Rosa Parks, and Dietrich Bonhoeffer—never linked arms, but they have, however, gone before us in the faith, embodying Christ. 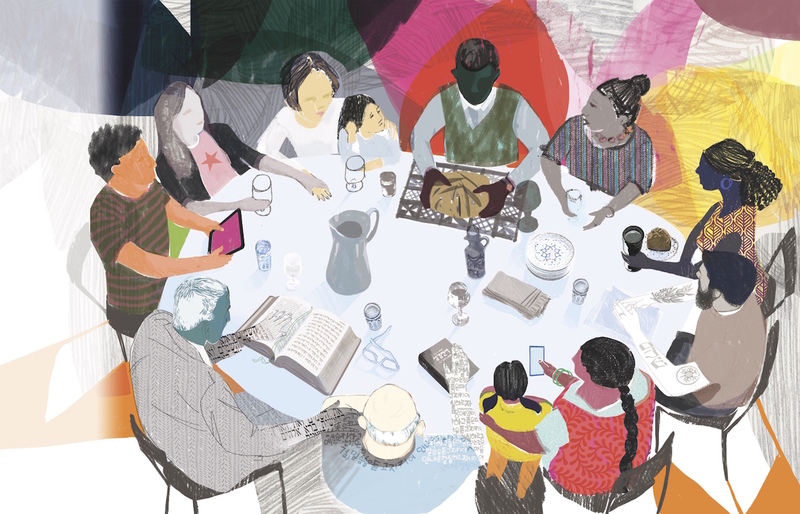 The resources below are offered in the same spirit—an invitation to join the Fuller community and the wider church in embodying a community that seeks to do justice, love kindness, and walk humbly with our God. Read a message from Fuller’s leadership reflecting on violence in Charlottesville. + Clifton Clarke, the associate dean of the William E. Pannell Center for African American Church Studies and associate professor of Black Church studies and world Christianity, in an essay for Christianity Today examining white supremacy. + William E. Pannell, professor emeritus of preaching, in an essay on race and reconciliation. The seminary recognized his tremendous service to Fuller and the whole church with the January 2015 renaming and dedication of the William E. Pannell Center for African American Church Studies. + Caleb Campbell, MDiv student, reflecting on the need for a response to racism. Read more of his story here and at the Story Table: Reconciling Race. 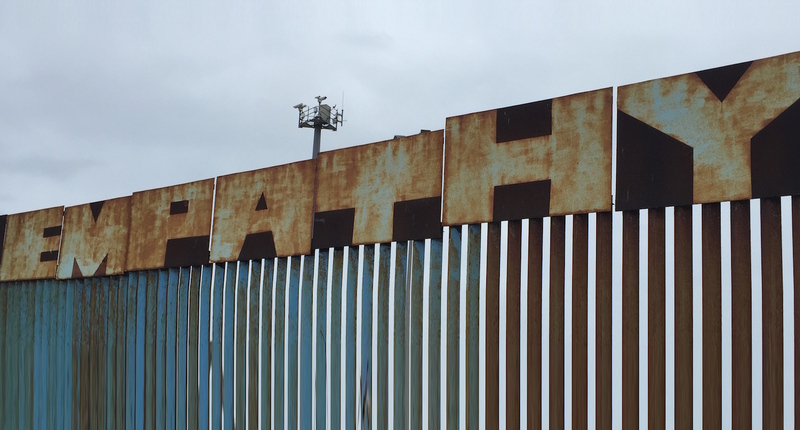 Pictured above: a group of faculty and students on a trip to the security wall dividing California and Mexico, a “border pilgrimage” that turned abstract debates into a human struggle requiring empathy and compassion to address. Explore more resources on reconciling race. 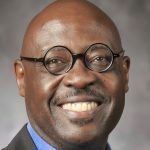 + Willie Jennings, a systematic theologian from Yale Divinity School, reframes fraught social problems around a theology of place in his conversation with President Mark Labberton on the Conversing podcast. Listen here. 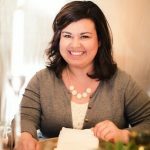 + Jennifer Guerra reflects on barriers to diversity on an event panel from “A Bridge to a New America: A Conversation on Race, Faith, and Justice.” Click here to read her story of navigating cultural identities and ministry. 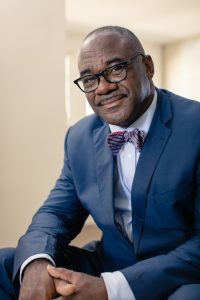 + Chinaka Samuel DomNwachukwu (PhD ’99) on the “polarization of the American political landscape” in his book Multiculturalism: A Shalom Motif for the Christian Community. Explore more resources on political civility here. 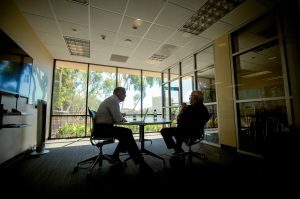 + Richard Mouw, president emeritus and professor of faith and public life, in a discussion with President Mark Labberton on the Conversing podcast—listen here. 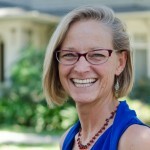 + Erin Dufault-Hunter, assistant professor of Christian ethics, in an essay available here. Read her confessions of a reluctant evangelical. 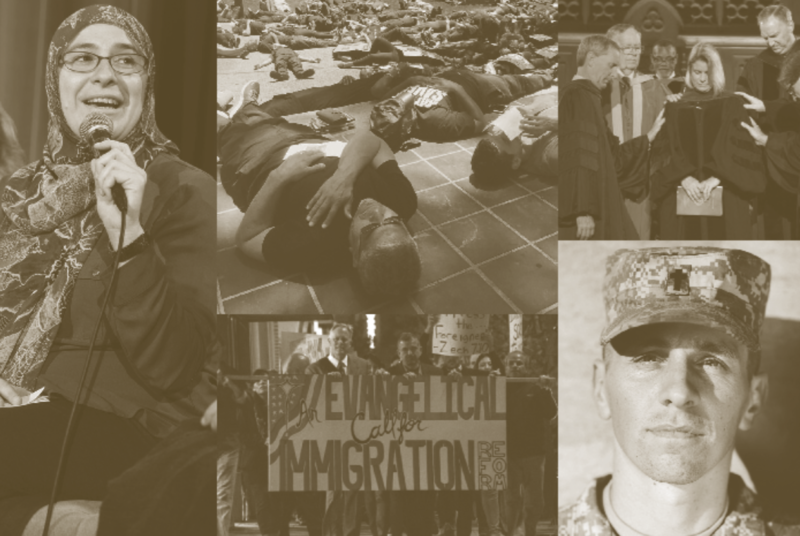 + President Mark Labberton and Richard Mouw, president emeritus and professor of faith and public life, in a joint statement on Fuller Seminary’s evangelical identity in a changing political landscape. Explore more resources on being evangelical here. + Evelyne Reisacher, associate professor of Islamic studies and intercultural relations, in her speech “Uniqueness of Christ and Muslims in Europe” at the Lausanne European leaders meeting in Switzerland, 2014.